If you are looking for a way to begin a career in the IT field with a running start, then the CompTIA A+ Certification Exams are exactly what you need. This CompTIA Certification Exam covers many of the fundamentals that employers are looking for when they are hiring individuals who are new to the IT field. It is more than enough to get your foot in the door of any business hiring for basic IT positions, including multiple positions that have to do with various forms of IT support. What Does It Take To Earn CompTIA A+ Certification? To attain this certification, you must successfully complete two separate exams. The first is the CompTIA A+ 220-801. The content of this exam includes topics like basics of computer technology, laptops, hardware, simple networking, and how to install and configure PCs. The second exam that you must pass is the CompTIA A+ 220-802. The content for this exam includes topics like installing and configuring operating systems for PCs and basic configuration of the standard features found on mobile operating systems. 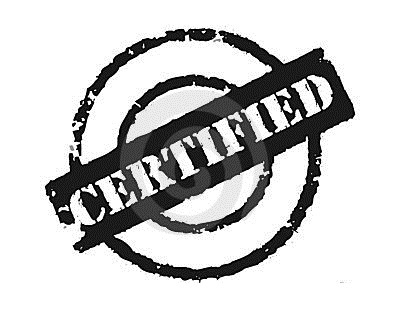 Once earned, this certification will stay valid for a period of 3 years. The US Department of Defense recognizes this certification. This exam will present you with a maximum of 90 questions that will be both performance-based questions and multiple choice questions. Test takers are given a total of 90 minutes to complete the exam. A passing score for the first exam is a minimum of 675 out of 900, and a passing score on the second exam is a minimum of 700 out of 900.